Toews Adventure: Toews Romania Adventure! Hey all. Currently we are at the Frankfurt Airport. That's right --- Germany! We are about to board our flight to Vienna, our last layover before arriving in Bucharest, Romania!!! We will be visiting some dear college friends for two weeks. Exploring castles, hiking mountains, caving. This is our first major way we are jumping into our keyword for 2014 - adventure. What an adventure it will be! Stay tuned for posts, pictures & videos. Follow on Instagram for (hopefully) frequent pics, but most likely "latergrams" as we need wifi to post. Our personal Facebooks will also be used for status updates & fun treats. 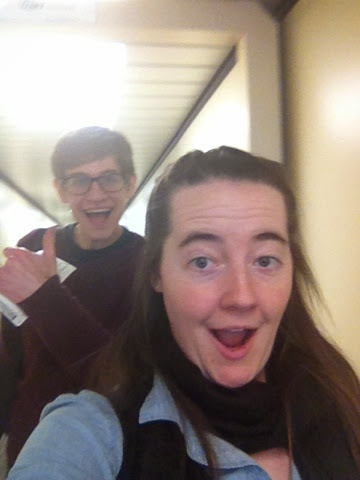 This is us in Rapid City walking down the ramp to our first flight to Denver. 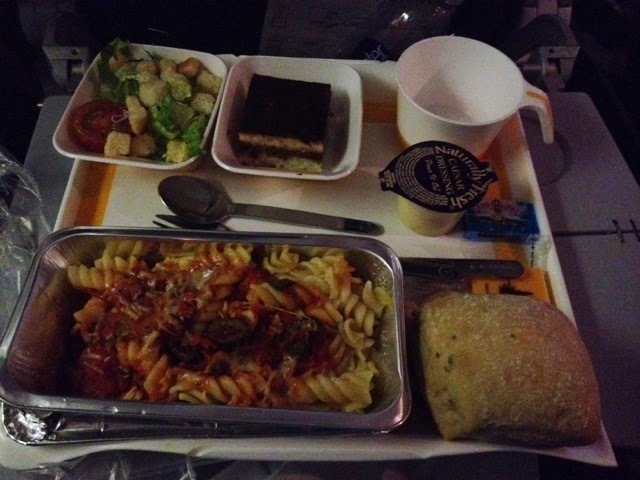 Our favorite meal for supper on the LONG flight across the Atlantic. We watched 12 Years a Slave together & then had a wonderful boozy snooze. where are you planning to go in Romania? :D what is the Bucket List?